When staying connected is a priority, watching your phone’s battery die a slow death is always a painful experience. 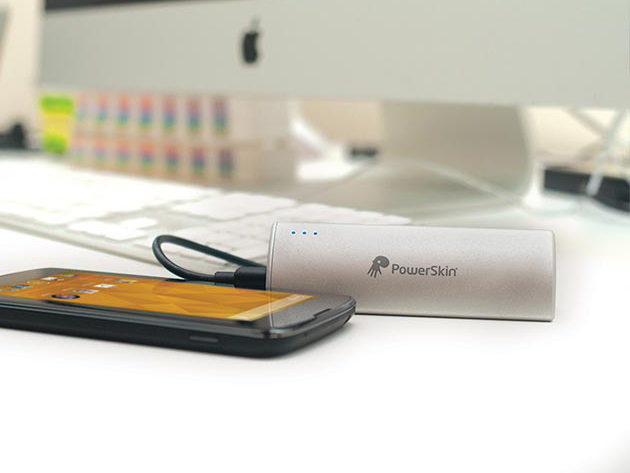 But not to worry — we have plenty of backup power at low prices, which ALL include free shipping! In most scenarios, 20,000mAh should keep your devices powered until you get to a wall socket — it is enough to charge an iPhone seven times over. But for camping or road-tripping, the SolarJuice’s ability to recharge using the power of the sun provides some welcome security. 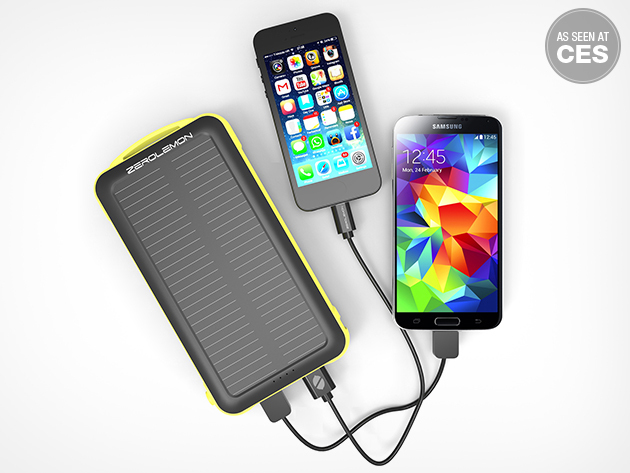 Solar panels cover one side of this lightweight battery, while the shell is waterproof. The battery has anti-explosion properties, and it provides power via two USB ports for simultaneous charging — 2.1A for fast-charging devices, and 1A. Grab it now for $49.99 with free shipping. The Power Vault also offers a generous capacity, but its most notable attribute is compactness. It is about the size of a phablet, and weighs just 0.58 lbs. It has dual USB ports for side-by-side charging (again, 2.1A and 1A) and the blue exterior is made from aluminum, so it is pretty durable. The other nice thing about this battery is the current price — you can order it now for $29.99, which includes shipping. Along with a bigger capacity, the Innori intelligently manages the power it stores, to minimize wastage. When you plug a device into one of the three charging USB ports, the battery automatically senses what current is required, and charges accordingly. The ports are also optimized for different charging speeds — two are for phones, one is for tablets and laptops — and four indicator lights show how much the battery has left to give. Considering all of that, the Innori is impressively slim, and it sports a flashlight. Grab one now at $34.99 with free shipping. The “rock-surface” design of the SHARKK is certainly stylish, and it is great in action. The curved surface of the battery includes indicator lights, and at one end there are two USB ports — one made for smartphones, one for tablets — surrounded by zingy orange. The capacity equates to around six full iPhone charges or 4 full Samsung refills, but the battery is still quite lightweight. 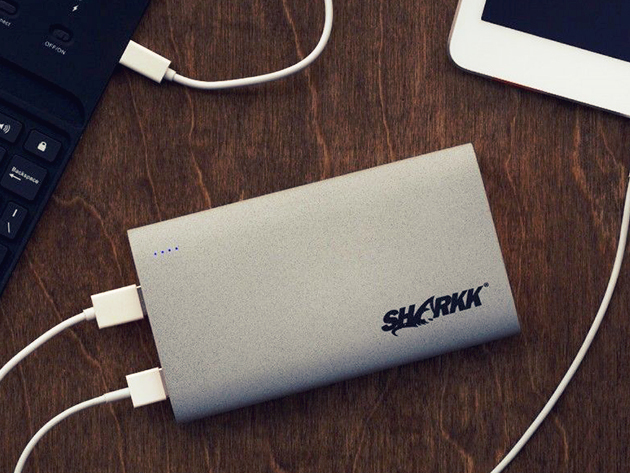 Order the SHARKK now for $29.99 with free shipping. The one thing about charging is that it is quite restrictive — it relies on being tethered to a power supply. The PowerStand provides 2,800 mAh of portable electricity (a bit more than a full phone charge), but it also holds your phone in a useful position while it is charging. The PowerStand is triangular, and it has an array of small suction cups down one side, which grip the back of your phone. This presents the touchscreen at a gentle upward angle, which is good for watching movies or just zipping through your inbox. Grab the PowerStand now for the special low price of $16, which includes shipping.